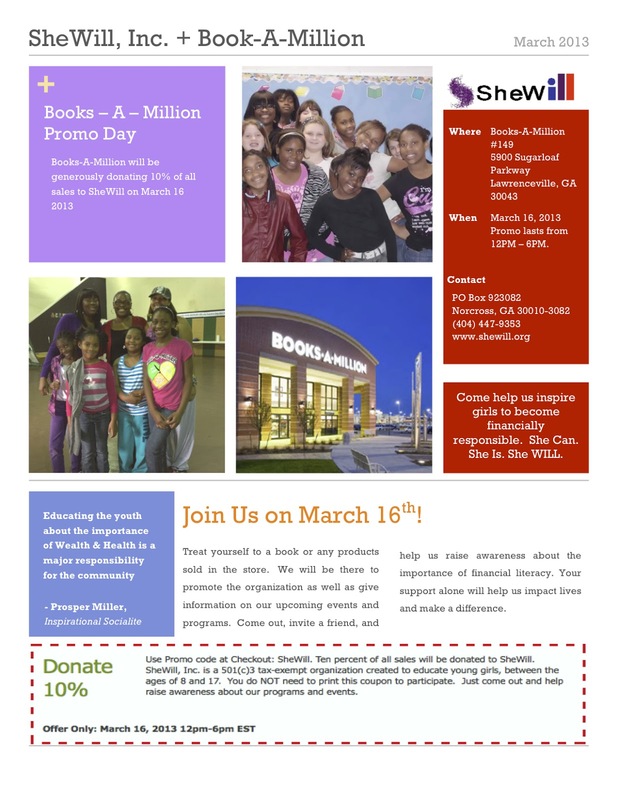 For those of you in the Atlanta area, the Books-a-Million at 5900 Sugarloaf Parkway in Lawrenceville will be hosting a fund raiser for SheWill.org. From 12:00 pm - 6:00 pm, 10% of all purchases will go to SheWill! SheWill, Inc. is a 501(c)3 tax-exempt organization created to educate young girls, between the ages of 8 and 17, on the importance of financial literacy and career empowerment. SheWill, YoungFinances and I have also partnered together to host the Preschool to Parenting Financial Summit in April. Come on out this Saturday and support my event partner in her quest to bring financial literacy to our young ladies! Update: I stopped by to visit Sheena at Books-a-Million. 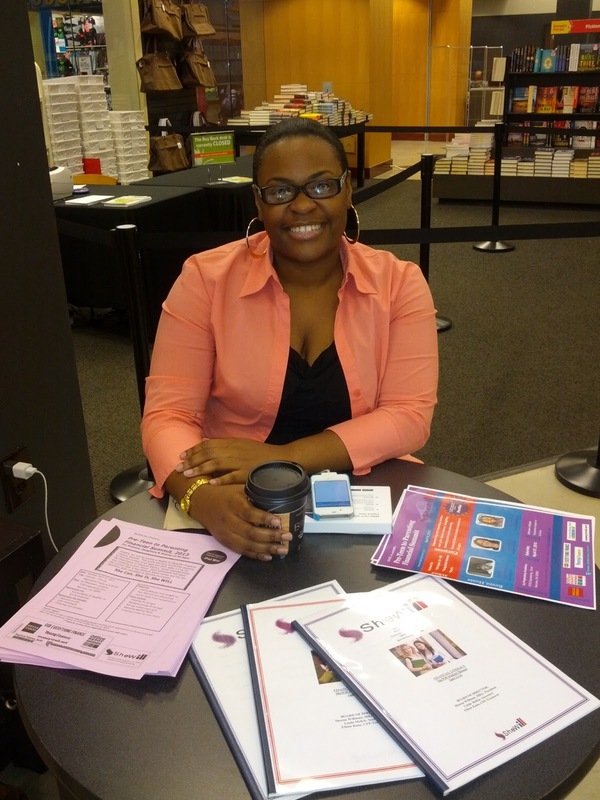 Many thanks to Books-a-Million and to the customers who made this a success for SheWill.org.